This travel guide contains all this knowledge compiled throughout the years and more. It’s the most complete source of planning to São Miguel, the largest island of Azores archipelago, in Portugal. Along 80+ pages of 100% of fully researched and edited content, I share all my insider tips, advice and secrets to fully experience this natural paradise in the northern Atlantic ocean that I proudly call home. It’s fully updated for 2019. Isn’t all this information on your blog already? Quite frankly, some of it yes. However this book is significantly more detailed and it’s a easier resource to plan your trip. It also explores much more in detail each of the areas of the island revealing the best swimming spots, restaurants, hotels, and worthwhile tours to take in each place you go. The last full review was made in February 2019. How do I get the book after payment? It will be available directly from the Gumroad page. 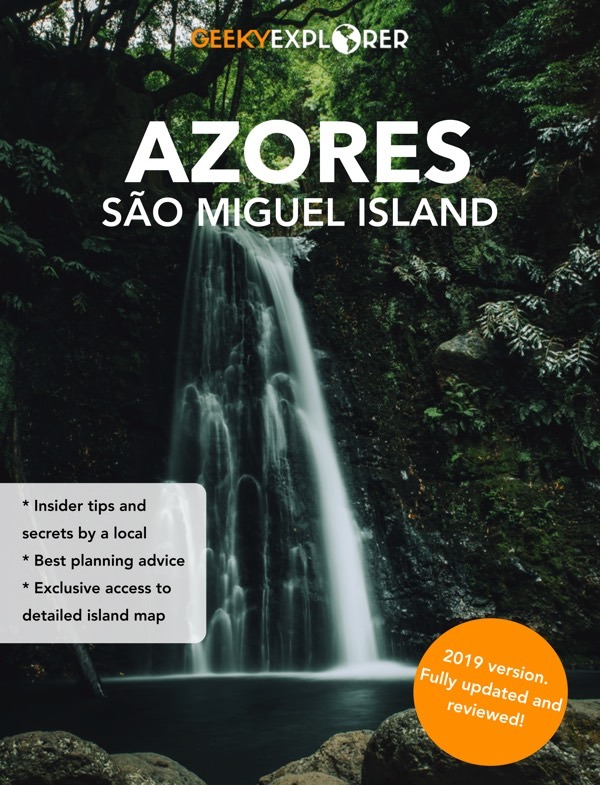 Read it and use it to improve your trip experience in Azores. Nothing else. The content of this book is licensed and copyrighted, so I’m trusting you to not’t redistribute or send it to anyone else.